Below you can view all the homes for sale in the Ormewood Park subdivision located in Atlanta Georgia. Listings in Ormewood Park are updated daily from data we receive from the Atlanta multiple listing service. To learn more about any of these homes or to receive custom notifications when a new property is listed for sale in Ormewood Park, give us a call at 404-998-4063. A Short Walk/Bike Offers Easy Access To Ormewood/Glenwood/Grant Park And Future Beltline. Atlanta Neighborhood Charter School District. MLS#6536346. Dorsey Alston Realtors. Just Footsteps To The Beltline, Glenwood Park, The New Memorial Corridor And Easy Access To Interstates. MLS#6537625. Compass. Features Gourmet Kitchen With Island, Include All New Custom Kitchen Cabinets With Soft Close Drawers, Quartz Counter Tops, New Stainless Steal Samsung Appliances, Beautifully Restored Original Hardwood Floors, Custom Windows Provide Plenty Of Natural Lighting, Expansive Decking, Gorgeous Master Suite With Walk-In Closet & Carrara Marble Like Tile, Open Floor Concept To The Den, Large Basement With Plenty Of Light Great For Storage, High Demand Area.” MLS#6536415. Keller Williams Realty Atl Part. Close To Grant Park, Atl Zoo, And East Atl Village. MLS#8562954. Post Pro Group Llc. Close To Grant Park, Atl Zoo, And East Atl Village. MLS#6535327. Post Pro Real Estate. Close To 1-20, Eav, Grant Park, Beacon And I-285. MLS#6531696. Re/Max Metro Atlanta Cityside. Convenient To The Beltline, I-20, Brownwood Park, Kroger, Eav, & Grant Park. MLS#6530236. Keller Williams Realty Intown Atl. This Home Will Not Disappoint! Move Today! MLS#6527707. Duffy Realty Of Atlanta. Double Deep Lot Is Perfect For Add On Or Expansion! MLS#6526599. Keller Williams Realty Intown Atl. Daylight, Unfinished Basement Storage. A Real Treat! MLS#6525020. Dorsey Alston Realtors. Steps From The Beltline Along W/Grant Park, Glenwood Park & Eav. MLS#6523000. Keller Williams Realty Intown Atl. 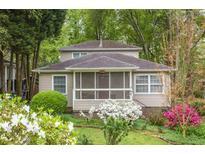 Grant Park, Zoo, East Atlanta Village Just Minutes Away And Highway Access Nearby. MLS#6523114. Maximum One Realty Greater Atl.. Huge Basement For Storage. Very Livable Floorplan. Driveway Parking. MLS#6523232. Palmerhouse Properties. 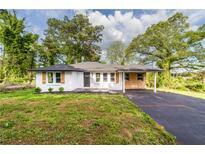 Just A Short Walk To Brownwood Park, The Beltline, & Eav! MLS#6522728. Keller Williams Realty Intown Atl. Minutes From East Atlanta And Easy Highway Access. MLS#6521592. Properly. Large Private Level Backyard And All The Conveniences Ormewood/Glenwood Park Has To Offer! MLS#6521725. Berkshire Hathaway Homeservices Georgia Properties. New Paint Throughout! Won'T Last Long! MLS#6518099. Harry Norman Realtors. Brand New Decking. Off-Street Parking + Double Carport. MLS#6515025. Keller Williams Buckhead. Perfect Place To Call Home And Move-In-Ready. MLS#6513754. Bhgre Metro Brokers. Short Walk To Brownwood Park, Glenwood Park, Shops, Restaurants, Beltline. MLS#6513229. Palmerhouse Properties. Less Than 1 Mile From The Beltline. MLS#6512652. Atlanta Fine Homes Sothebys International. Great Equity Left For The Buyer To Add Personal Touch / Upgrades. Zoned For Atl Neighborhood Charter. MLS#6511506. Bridgewell Realty Inc. Convenient To East Lake Village, Grant Park & Interstate. MLS#6510282. Redfin Corporation. Photos Of Finished Home Similar In Finishes & Plan. MLS#6510405. Compass. Huge Back Yard W/Rear Alley Access. MLS#6506327. Keller Williams Realty Atl Perimeter.